We are often asked whether it would be a good idea to have your spouse as member in your LLC to make it a multi-member LLC. When you are looking for another member in your LLC, the best solution is to have a member who is not related to you and will participate in the LLC. If both you and the other member put up capital to start the LLC and both of you contribute to building the LLC, the court should provide charging order protection to the LLC if one of the members gets in trouble. The spouse as a second member can work, but it has the most dangers. The benefit to having a spouse as the second member is that you aren’t really giving away any of the company. At least you are keeping the ownership “in the family.” The problem is that the courts may consider a husband and wife as one unit and disallow the charging order protection. This is particularly true in a community property state. Unfortunately, some of you won’t have the option of having a truly independent person as the second member. Often people will start a business on their own using their own ideas and capital. In this type of a situation, picking someone to be a second member can get a bit trickier. So if you are going to use your spouse as a second member, there are a few things to consider. First, do not elect to have the LLC treated as a disregarded entity for tax purposes. A disregarded entity is an LLC taxed as a sole proprietorship, and the taxes are filed using a Schedule C attached to the owner’s 1040 tax form. An LLC owned by a husband and wife can elect to be a disregarded entity in certain situations. Courts have used an LLC’s status as a disregarded entity as a reason to treat the LLC as a single member LLC. You should probably have the LLC taxed as a partnership, which requires more than one member, or as a corporation (C or S). Second, make sure your spouse contributes to the initial start-up costs of the LLC. You want the husband to make a contribution and the wife make a separate contribution. This makes it look as though the business truly is a partnership between the husband and wife, and that they each have a separate interest in the LLC. You may have to set up his and her bank accounts to show the proper paper trails of contributions coming from two different sources. Third, the spouse needs to actively participate in the LLC operation. Again, you are trying to show that the spouse has a separate interest in the LLC. By having the spouse actually participate in the LLC, the court is going to look more kindly on the LLC as a multiple member LLC instead of considering it a single member LLC. The other option that most people consider is to have a child or other relative as a second member. In this type of situation, courts have been a bit nicer to the LLC. The biggest problem occurs if you don’t give the other member a big enough ownership in the LLC. If it appears that you just gave the second member a token membership in the company, the court will say that the other member is just a “peppercorn member” and consider the LLC as a single member LLC. In order to avoid this problem, the member should have at least a couple percentage points of interest in the company. To be safe, you should probably have the second member have at least a 5% interest in the LLC. There isn’t really any precedence for the recommended 5%, but the IRS argues that if a person has at least a 5% interest in a company, they are not merely a passive investor. I would argue that if it is good enough for the IRS, it should be good enough for the court. In any case, make sure that you treat the second member as a real member according to the requirements in your operating agreement. When a court looks at an LLC and determines whether or not it is a multiple member LLC, it will consider multiple factors, shoot some darts, and come to a decision. The more you keep up the formalities and include the other member(s) in the operation of the LLC, the more likely it is that the court will give you the protection you seek. Charging order protection is important. Make sure you do what you can to ensure that your LLC gives you the maximum protection available. I definitely want to form an LLC with my spouse. We are planning to go the route of treating the LLC as a partnership for tax purposes. Would it make sense for us to divide up the ownership percentages according to the amount of work effort each will be putting into the entity? I’m assuming that most couples just do a 50/50 split, and that causes the courts to take a closer look. I’m guessing an 80/20 or 75/25 split – as long as the percentages selected match the effort – will look more favorable for us. You can divide up ownership any way you want. 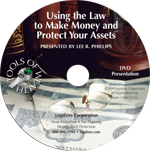 The division of ownership in theory is dependent upon the amount of investment each person puts into the LLC. In your case the investment is sweat equity. The courts probably only look at the division in very rare cases. Unless you go after each other, the courts really don’t care how you divide up ownership. It could influence the court to have the interest split according to effort but you never know. You can never predict what the court is going to do. All you can do is try and create a narrative that shows that this is a proper business and that you are treating as such. If one of the spouses is hardly participating in the business it would probably be best to give them a smaller share of the business. That is how it would work in a normal partnership. The issue of taxation as a partnership depends upon how you are going to make money. Generally, if you have passive income the partnership is fine. If you have earned income, you should consider taxation as a Subchapter S corporation. As long as your sons play an active role in the LLC then they will be considered separate members. If your sons are minors and have no active role in the LLC then their interest could be attributed to you which could make the LLC seem like a single member LLC. I have two sons, 7 & 17 year old . The kids probably aren’t going to count but you never know. A judge could go either way. To be safe I would say find someone else, but if they are your only option you could add the kids but know it may or may not work. Even with your sons being minors at this time, you could include them as separate members in your LLC. They would be considered independent members, but you will have to be careful to treat them as such by giving them their share of the profits and letting them vote when they are old enough. Include them in member meetings, etc. Hello and how are you Mr. PHILLIPS . Other is tell me my sons would be liable to law suits. I have the LLC WIZARD COURSE . Listening to the ciurse my understanding is if I place myself as a member/manager and my minor sons as members they would not be liable in a lawsuit. If your sons are members and the corporate shield is pierced (you don’t follow the formalities), your sons would be liable. They may not have anything from which that liability could be fulfilled, but they would still be liable. I’m a single member llc taxed as a S corp . I choose centralized management but I’m the member and manager on the 8832 form. Would that be considered one of my two elements of a corporation or do I need to choose another one in the place of centralized management. You make your choices on the four elements of a corporation in the operating agreement. 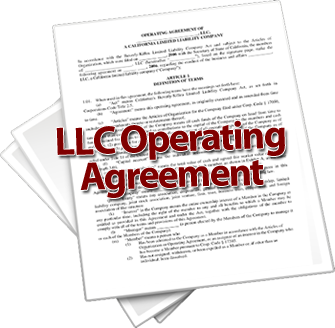 You would need to check your operating agreement to see if it states if the LLC is managed by the members or by the managers. If it says it is operated by the managers you have centralized management. Since you want limited liability you will now have your two choices of the four elements of a corporation. You will need to make sure that the operating agreement does not have free transferability or continuity of life. My husband is a physician in his own practice that operates as a sole proprietorship right now (due to non-compete agreement that expires this month). we’d like to restructure to achieve the optimal level of asset protection in professional and personal liability situations and tax savings. One of the questions is whether we can form a multi-member LLC with me as his non-physician spouse (but heavily involved in the business operations) to be a half owner and/or “member/manager”, OR form a single member PLLC for him and make this PLLC a limited partner in a Family Limited Partnership? If you have any other suggestions, – they are greatly appreciated. It depends on what state you live in. Some states require that a doctor have their practice as a PLLC where every member must be a Professional. But even if you don’t have to have a PLLC, it still may be best to not have both of you as members of the LLC. You can have your husband as the sole member and you can own other assets like your home. This allows you to separate assets in case there is ever a problem (most likely coming from the practice). Of course this only works if you don’t live in a community property state. A Family Limited Partnership is not going to do much for you. The best protection is a properly operated LLC. I don’t care how many entities you put in place, if you don’t keep up on the formalities no entity structure is going to protect you. I’ve been sole member and sole enployee of a Florida LLC sin Jan 2016. Said LLC is the business entity under I provide consulting work. This LLC owns or owes nothing, and all the profit is transferred monthly from the LLC’s bank account to the spouses bank account. I would like to add my spouse as second (and 50%) owner, and as second enployee (also doing consulting work). Can we fill out a bill of sale whereby I gift/sell her 50% interest in the LLC for $0.00, since I’m assuming the LLC can be assumed to have $0.00 value? You can transfer 50% of the business to your spouse without any issues. Married couples can make unlimited gifts you each other without any tax issues. Transferring an asset to a spouse is a non tax event. There is not gift tax issues at all. The value doesn’t really matter. There is no sale either. Thank you very much for these two replies. Is the Operating Agreement of our LLC the only document that needs to show that I created the LLC as sole member with $0.00 and that later on I transferred 50% of the LLC to the spouse for $0.00? Just change the ownership records in your state LLC filing (Articles of organization) with an amendment and change your operating agreement to reflect the new ownership percentages. No statement of gift or bill of sale necessary. My wife and I have a LLC and are getting ready to retire. Our son has worked for our Co for 30 yrs. Should we let him get his own LLC or can we add him to our LLC. We still want to be silent partners until we see how he will handle the business. What do you think would be the best way to do this? If you want to include him in the company but keep a piece of it then you will need to transfer membership from your current LLC to your son. Just make sure you keep a majority interest in case you need to step in and take control. My husband has a job in the IT industry with a decent salary but is nearing the age of retirement maybe in the next 5 years. I currently do not work but am looking to start a business as an LLC in California. If my husband would minimally contribute to this business until he retires, but plans on doing more after retirement, should I set the LLC up initially as a single member LLC and add him on later or add him on now as another owner/member with maybe 5% interest in the business with plans to increase the % interest when he contributes more to the business? Also, if adding him with disengaged entity, any problems we should be aware of aside from us not seeing a problem with needing charging order protection? Since you live in a community property state it is not going to matter since you and your husband are one economic unit. If you just have your name on as member he is still considered a member. The only thing that matters is if he is listed as a manager with if you want him to be able sign for the company. What about having 2 LLCs as 50/50 partners That I own both would that work and should I have it taxed as a partnership or c or s Corp? I couldn’t tell you exactly how you would need to set it up without having a lot more personal information about your situation.